HPE is a leader in software-defined IT and converged infrastructure, and has moved quickly to integrate recently acquired technology with its established product lines. For example, HPE acquired SimpliVity in January for $650 million. 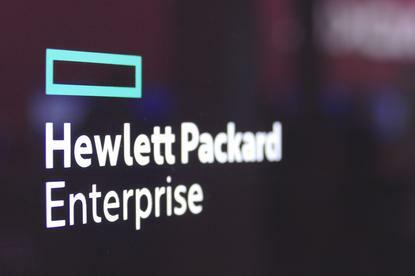 Just two months later it announced that it had qualified SimpliVity's hyperconverged infrastructure appliance, the OmniCube, to run on HPE's ProLiant DL380 server. "We’re watching what's going on in the environment and we’re putting it through these expert systems using quite a lot of different AI and machine learning and data science techniques; the goal here is to tell the customer what to do to make the environment better," said Gavin Cohen, vice president of product and solutions marketing at HPE. "So, we might notice that everything's running just fine, things are humming along, servers are working fine, applications are working fine but there’s an opportunity to get more performance if you were to move for example a virtual machine from one server, where there's extra contention, to another place," Cohen said. Moor Insights & Strategy’s McDowell agrees that the groundwork for AI-enabled autonomous systems has been laid, but says it's debatable whether enterprises will want completely autonomous systems. "I’m skeptical that IT wants anything autonomous," McDowell says. "The customer wants to be notified and make a choice; they’d be terrified if you're shrinking and expanding their data."